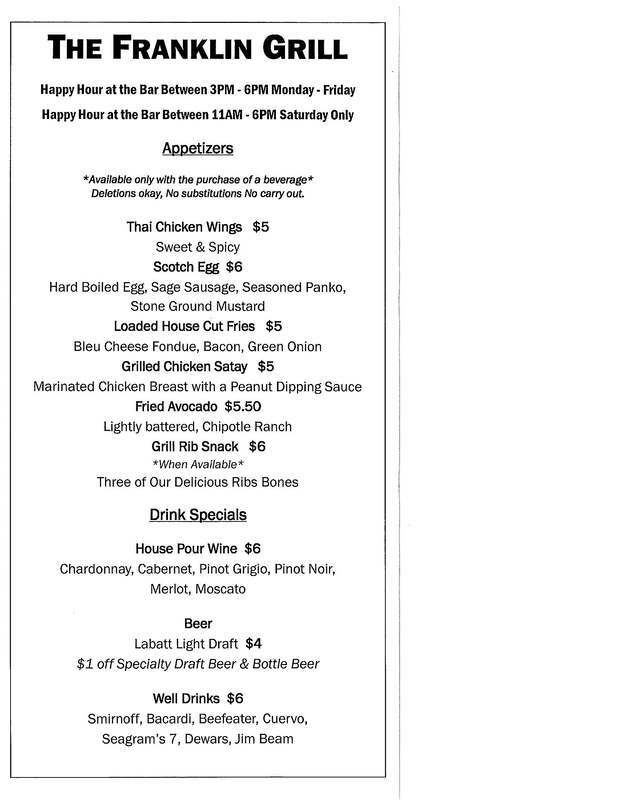 Join us for the best part of the day........Happy Hour! Monday-Friday from 3-6 pm at the bar ONLY. Saturday from 11am - 6pm at the bar ONLY. $6 Wine and well drinks, $1 off beers, and special appetizers.